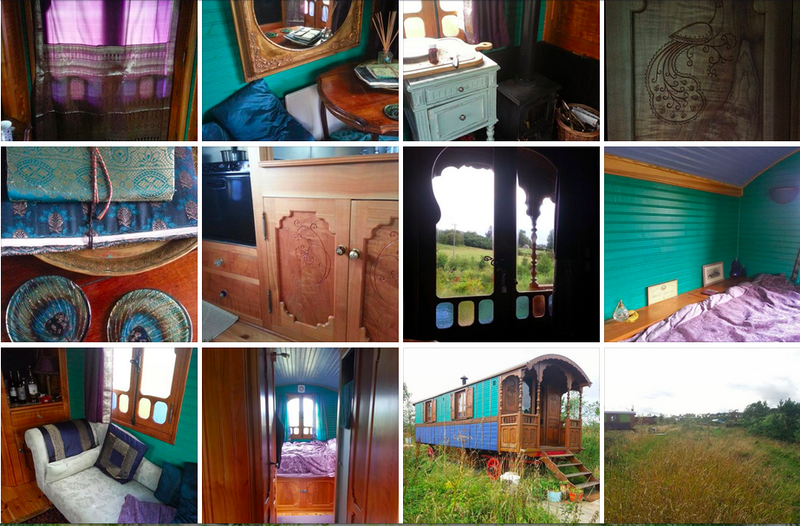 In the summer we went for a long weekend away to a beautiful place near Melrose in Scotland and stayed in a Roulotte, which is the name for a French gypsy caravan. There are now 6 together on one site, scattered around a meadow, each decorated individually. The one we stayed in was called Devanna and decorated in peacock colours of turquoise and purple. The owners have taken a huge amount of care in decorating and personalising each roulotte. I just love how well this collection of photos sits together showing many of the beautiful details inside and outside the roulotte.